Dennis has been drumming for over twenty years. He has earned an A.A.S. degree in Music Performance from McNally/Smith College of Music and B.A. degree in Music from the University of Pittsburgh. He has more than ten years of experience teaching in high schools, elementary schools, group classes and one on one. Dennis seeks to inspire his students and tailors each lesson to fit each student in the moment. His experience playing lots of styles with lots of bands in the studio, on stage and on tour make him versatile on the drumset. Dennis is articulate, patient, encouraging and positive. 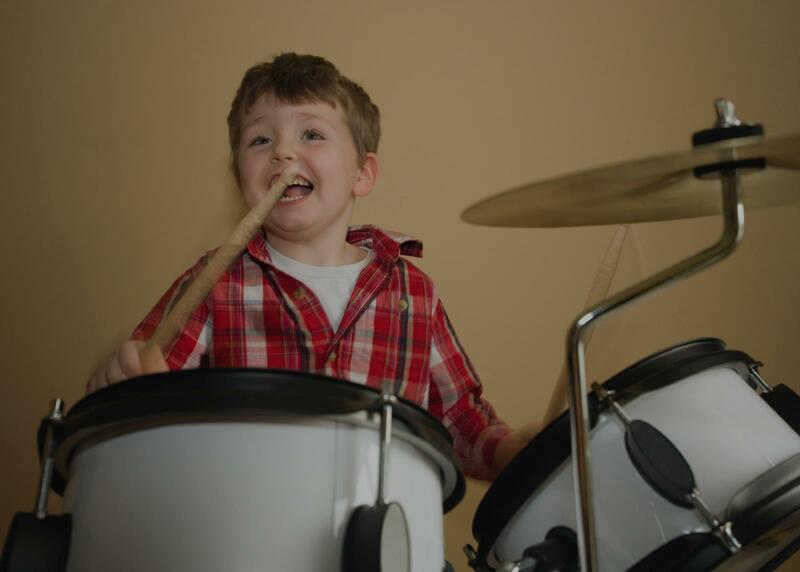 If you are a beginner interested in learning to play the drums, book your first lesson today. You will love it. Dennis Snyder is a professional drummer and percussionist from Pittsburgh, PA who currently resides in Los Angeles, CA. He writes and performs music from all styles. Dennis has written music for and performed with many different artists including The Deliverance Baptist Church Voices of Praise, Blak Rapp Madusa, Mega-Def, The Beats n' Verbz, MH the Verb, Higher Ground (A Red Hot Tribute), The Filthy Lowdown, Rhythmic Renaissance, Lushwell, and many others. He has released one full length album of original music which is entitled "Fantasy Boyfriend" and features a lot of other artists. McNally/Smith College of Music and a Bachelor of the Arts Degree in Music from the University of Pittsburgh. Dennis first became interested in Funk and HipHop in his early twenties when he started exploring the music of James Brown and Herbie Hancock. His current style incorporates a number of other influences including Babatunde Olatunji. Dennis is a former member of Pittsburgh's, East Liberty neighborhood night life scene that made its home at the Shadow Lounge. This is where he met tons of great people and was very fortunate to experience so much amazing creative energy. Patient, smart, friendly. Dennis is great for drummers just starting or picking up when they left off! Great equipment to work with too! Highly recommend! ts in it. Ray started with a simple rhythm that my son had to copy and they practiced it together a couple of times. Then Ray showed him what that rhythm looked like, written down on paper and how you can read the notes so you can play it (anything) again. Then they both put headphones on and played the same rhythm along with a song of (in this case) Michael Jackson, picking up the tempo. This made it all the more fun, because my son felt like he was already actually making some real music! My son loved his first class with Ray and I am very happy too. Ray is structured, has loads and loads of enthusiasm and is very skilled. On top of that he knows how to teach! We can’t wait untill his next class." ime every single week to learn from him. He's improved my drumming vastly in such a short period of time, its amazing!" "Mariano is excellent! He is firm yet patient and professional, and gets along really well with my son." "Joseph is a really good drum teacher. He definitely loves what he does!"
. Mike is a very generous and caring teacher, and quickly saw that I had room for improvement. Within the first month, I learned more than I had ever before, from sight reading music, basic rudiments, timing skills, and how important drums really are as an instrument. His great teaching skills and support eventually led me to become accepted in The Academy of the Performing Arts at Huntington Beach High School. I learn something new from him each lesson and improve on numerous skills that interest me such as Latin, Jazz, Funk, and Pop music. From my first days taking lessons with him to now, I have grown tremendously as a musician. If anyone needs a skilled and trusted drum teacher, Mike is your best option. Over the past several years taking lessons with Mike, I now view him not only as a teacher and instructor, but as a friend too." nation of commitment to technique as well as ability to stoke a young drummer's intrinsic motivation make him a wonderful instructor." Los Angeles, CA teacher: Peter L.
rom a guy with no rhythm - seriously, he's a miracle-worker. The studio is clean... he's always there on time...very professional... no complaints. My new musical motto: IN JOE I TRUST!!!"